The social networking giant, Facebook is always on the move to add new features to its platforms. While the company also adds extensions for a better experience, some of the additions are brand new. However, this time around, the company has updated its desktop Facebook Live platform that now supports screen sharing. Previously, screen sharing required a middleman or a third-party software, to be exact, in order to project your screen on Facebook Live. This will eliminate the need to appoint any medium if you want to cast your screen on Facebook Live. So let’s dive in to see some more details on the subject. The screen sharing option to Facebook Live was first noted by The Next Web. In order to access the screen sharing mode, all you have to do is head to Facebook Live and then look for the “Screen Share” button. if you’re having difficulty finding it, it will be situated alongside the option for other cameras. While being a highly useful feature, the company has now eliminated the need to appoint a medium in order to share your screen on Facebook Live. If you’re a Mac user, you must have noticed that the feature is yet not available. This is because the screen sharing feature is not supported in Safari as of now. However, if you must take advantage of the feature, you can always install Facebook’s Screen Sharing browser extension for Google Chrome. Once the Chrome extension is installed, you can also choose the portion of your screen that you want to project on Facebook Live. It could be a specific application or a specific window. To top it off, you can also restrict the screen sharing to just one Chrome tab as well. While Facebook Live has supported screen sharing for quite a time, the operation to perform the process was downright a nuisance. Now the process has been streamlined as everything is now available to you in the browser and no third-party assistance is required. Now that the overall mechanism is simplified, there will be a lot less effort required in order to achieve the same results. There will be more to the story so be sure to stay tuned in for more details. This is it for now, folks. 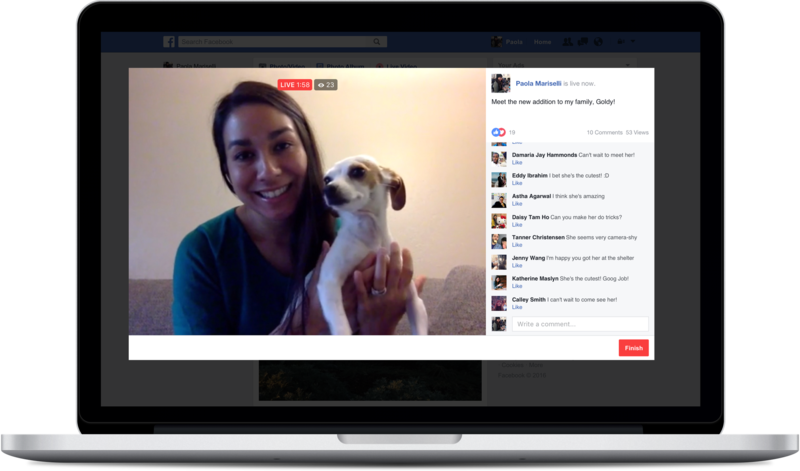 What are your thoughts on Facebook allowing users to share their screens directly on Facebook Live? Share your views in the comments.